White House chief of staff John Kelly sought to reassure nervous West Wing staffers that all was well on Friday — while telling the press that President Trump is indulging himself with talk of staff shake-ups and uncertainty. Kelly met with administration staff to let them know that there were “no immediate personnel changes” coming, White House press secretary Sarah Huckabee Sanders said. 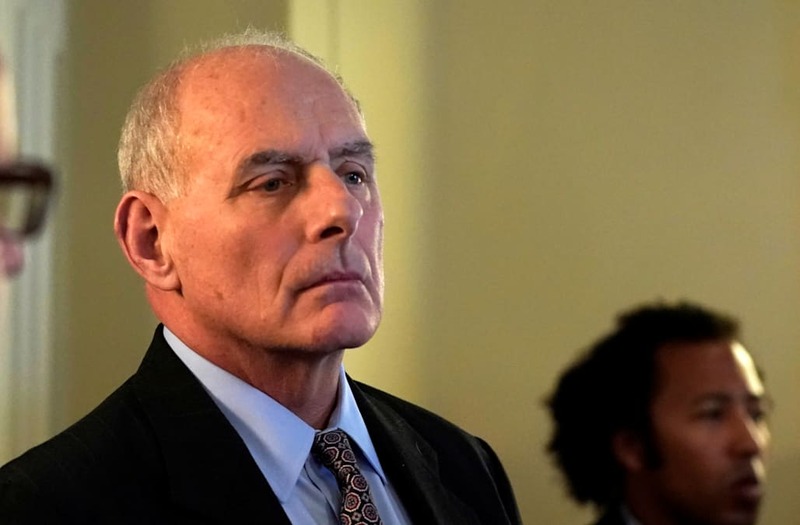 Kelly, whose own fate has been run through the rumor mill, tried to calm nerves amid conflicting reports and rampant speculation. “People shouldn’t be concerned. We should do exactly what we do every day, and that’s come to work and do the very best job that we can,” was the message Kelly shared, according to Sanders. But a sense of unease prevailed as the President openly weighed staff changes during calls to people outside the White House, Kelly told a group of reporters in an off-the-record session, according to Axios. In a matter of weeks, Trump’s top economic adviser resigned over tariffs, the secretary of state was fired on Tuesday and nearly half a dozen top aides have left the White House for a variety of reasons. Many close to Trump, who promised to fill his administration with “the best people,” believe more upheaval is on the way. So far, 43% of Trump’s most senior staffers have quit, switched roles or have been forced out, according to the Brookings Institute. That’s more than double every administration since 1981. The President is reportedly eyeing replacing national security adviser H.R. McMaster, but has not settled on exact timing or a successor, according to reports. Kelly, who has been at odds with Trump’s son-in-law Jared Kushner of late, has also worn on the President. Housing and Urban Development head Ben Carson and Veterans Affairs Secretary David Shulkin are both under fire for misusing taxpayer money. Rumors of McMaster’s possible exit were so rampant that Sanders took to Twitter late Thursday to weigh in. “Just spoke to @POTUS and Gen. H.R. McMaster - contrary to reports they have a good working relationship and there are no changes at the NSC,” she wrote. Kelly and Defense Secretary James Mattis both have said they want the national security adviser to have a graceful exit when he departs, ideally a military command. Trump, after seeing the headlines about tumult in his administration, cracked wise during an Oval Office meeting with Vice President Pence and Kelly, according to The Associated Press.